A team of eight Army Cadets from Leicestershire, Northamptonshire and Rutland Army Cadet Force (LNR ACF) used their strength, determination and training to the best of their ability yesterday (Tuesday 11 June) when they took part in a charity tug of war competition in the College Gardens of Westminster Abbey in London. 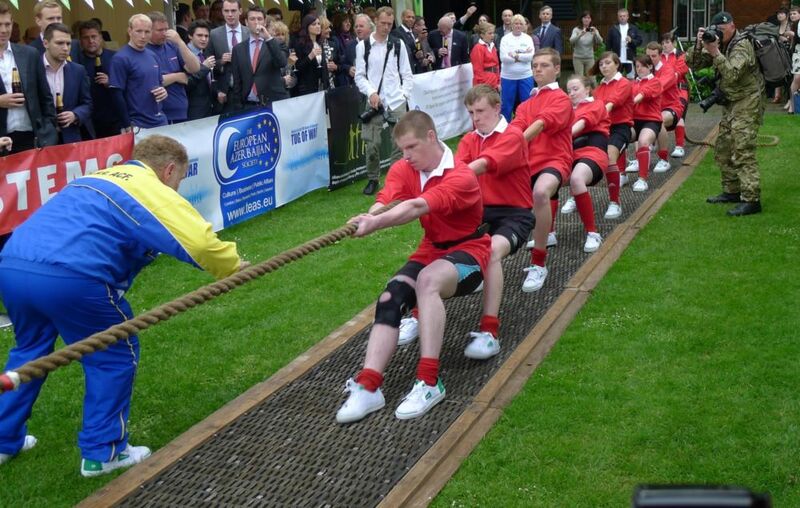 The team, that was made up of four boys and four girls aged from 13 to 18 years, travelled to London for the first time in LNR ACF’s history to take part in the invite only House of Lords Vs House of Commons Charity Tug of War event. This is the first time Cadet teams have taken part in this prestigious event and it is hoped this will become an annual fixture in the Cadet calendar. Cliodhna Betts, a Cadet from LNR’s team, said: “I’m really pleased that I was selected to take part in this amazing competition. It has been tough training in the lead up to today, but I’m so proud that we each pulled to the best of our ability and got a good result. The support from the crowd spurred us on too and it was an honour to be there”. The charity tug of war event was organised by Macmillan Cancer Support and was the 26th event of its kind.